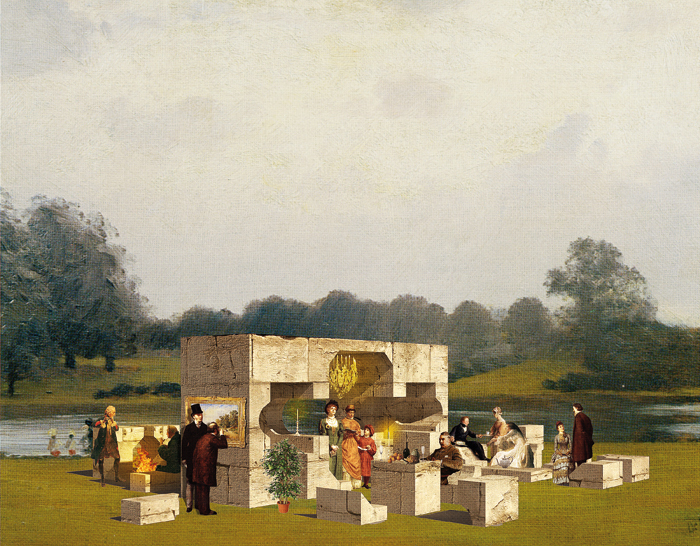 FX assistant editor Emily Martin takes a trip into Kensington Gardens in Hyde Park to have a look at the four summer houses accompanying this year’s Serpentine Pavilion by practice BIG. 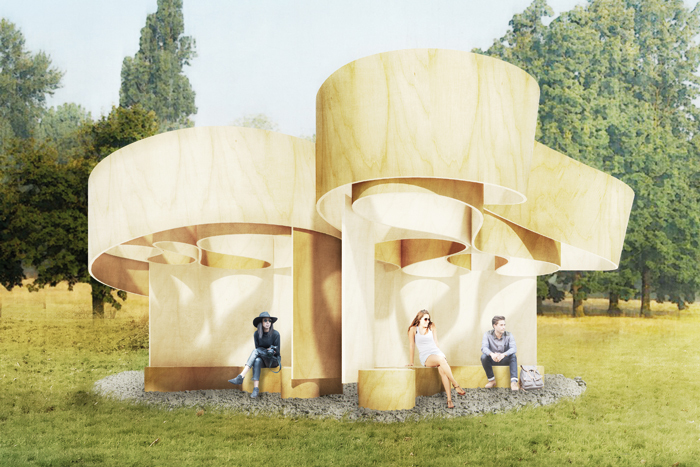 With its opening timed to coincide with the London Festival of Architecture, which sees events taking place across the capital this month, the 16th Serpentine Gallery Pavilion sees an addition of four summer houses commissioned for the annual event. Designing this summer's pavilion is Bjarke Ingels Group (BIG) in the form of an 'unzipped wall' to transform into a 3D space. 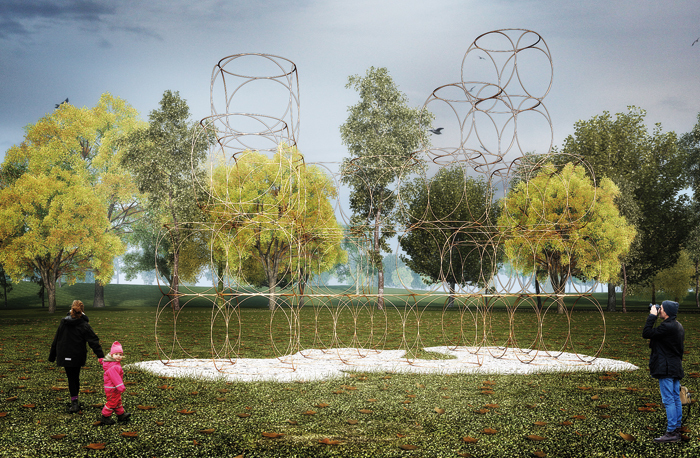 The four accompanying summer houses are designed by Kunlé Adeyemi (NLÉ), Barkow Leibinger, Yona Friedman and Asif Khan. Each summer house design draws inspiration from the nearby William Kent-designed Queen Caroline's Temple, a classical-style summer house built in 1734. Each design explores the temple building in varying and unique ways. 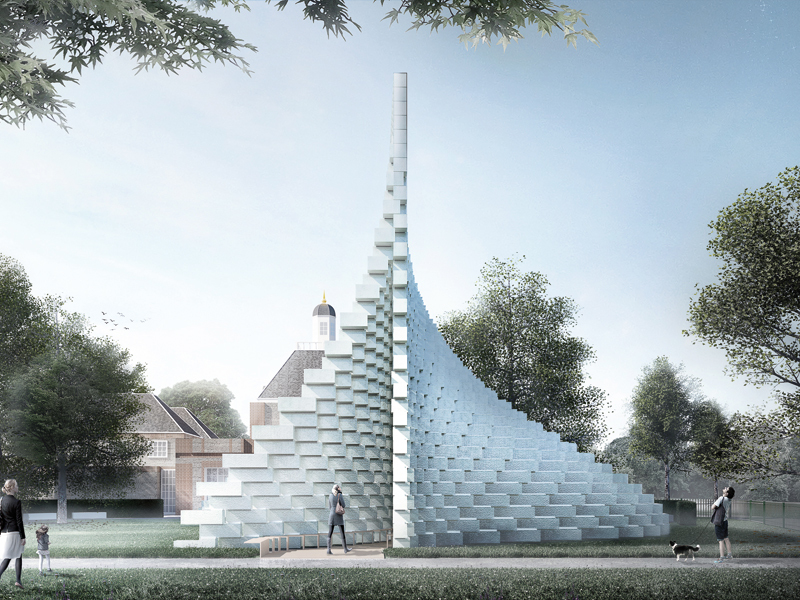 1 Bjarke Ingels Group (Big) pavilion BIG's pavilion will host a café and family activities during the day to transform into a space for 'Park Nights' after dark, with a programme of works featuring writers, artists and musicians. 2 Kunlé Adeyemi (NLÉ) summer house An inverse replica of the Queen Caroline's Temple, it pays tribute to the robust form, space and material. 3 Yona Friedman summer house Taking form of a modular structure, it can be built and rebuilt in different formations, as with the practice's pioneering project La Ville Spatial. 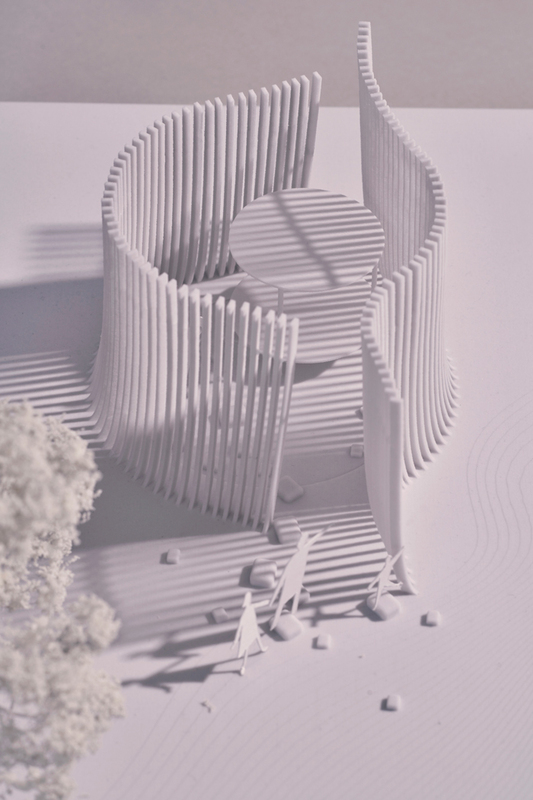 4 Asif Khan summer house Asif Khan's design takes its inspiration from the positioning of the Queen Caroline's Temple, which captures the sunlight from the Serpentine lake. 5 Barkow Leibinger summer house Inspired by another William Kent pavilion, built in the 18th century but no longer in existence, which rotated to offer a 360-degree view.